Welcome to Indie Author Interview month hosted by Never Too Old for YA and NA Books group from Goodreads! Today we welcome author CM Doporto! 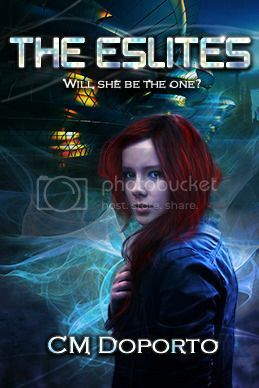 Sixteen year old, Miranda Mays, discovers she is a superior donor for the alien race known as the Eslites, who have come to earth demanding humans to help save their race from extinction. Will she be the one to help them or will their quest continue? College freshman, Natalie Vega, offers to be a test patient for several vitamins and supplements created by Kronberg Laboratories, a large pharmaceutical company where she interns. 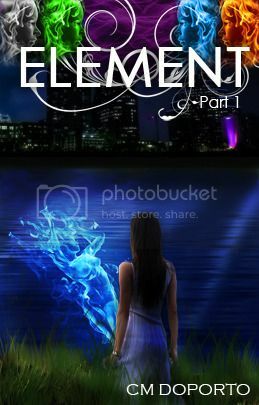 Immediately her body starts going through physical changes but when she runs into her former high school crush, Ryan Garrett, she is unaware of the life altering affects he will have on her. So let's hear what DM has to say! About five years ago when I realized I was experiencing career burnout. Anywhere from six weeks to four months, depending on what’s going on in my life. A great story always answers: Who’s the hero, What is your hero trying to accomplish, Who is trying to stop your hero, and What happens if your hero fails. I write five days a week, up to five hours at a time. I limit my social media and usually do very little work after five and on the weekends. They usually come from dreams that either I or my husband has. How much work it takes to publish a book from start to finish. Being self-published is even harder because you have to wear all the hats the creator, the writer, the editor, the artist, the publisher, the marketer, the publicist and social media guru (even if you pay someone). I have written three books and several short stories. My favorite is The Eslites: The Arrival which will be published in a few weeks. I have a few characters in my books that are based on family members. Do you have a favorite place you love to write? I’d like to say in my summer condo on the beach overlooking the ocean but maybe one day I can. Tell us one thing we wouldn’t know already know about you. I have a keen interest in holistic medicine and healthcare. I believe in identifying the root cause and healing the body naturally. Which means we try and eat as healthy as possible and use only natural or organic products. They like both my series and are very proud of my accomplishments. Spend time with my husband and son. Read books about writing and learn as much as you can about the craft. Continuing reading books from best sellers and learn from them. I wanted to be an interior decorator. What are your favorite books and which authors inspire you? I have so many but I really like Jessica Shirvington’s Violet Eden series and Amanda Hocking’s Trylle Series. For an aspiring writer what do you feel are certain do's and don’ts for writing a successful book? There are so many do’s and don’ts that I could probably write a book about them. A few tips include: Whether you are self-published or represented, make sure you have beta readers and solicit their input before publishing. Edit, edit, and then edit some more. Don’t assume everyone will love your book. Don’t get upset when you get a negative review. First see what you can learn from the comment and remember, it’s just that, an opinion. Finalizing The Eslites: The Arrival and plotting for the Flesh Seekers, Book One. Thanks so much for stopping by today! It's been great having you here! Good luck with your future books! CM Doporto lives in the great state of Texas with her husband and son enjoying life with their extensive family along with their Chihuahua, Mexican Redhead Parrot, and several fish. She earned her Bachelor’s Degree in Journalism from The University of Texas at Arlington. She briefly worked in the area of Public Relations and Advertising and then pursued a career in the field of Human Resources. CM considers herself a life-long learner and returned to school and earned her Master of Art’s Degree in Organizational Development from Dallas Baptist University.